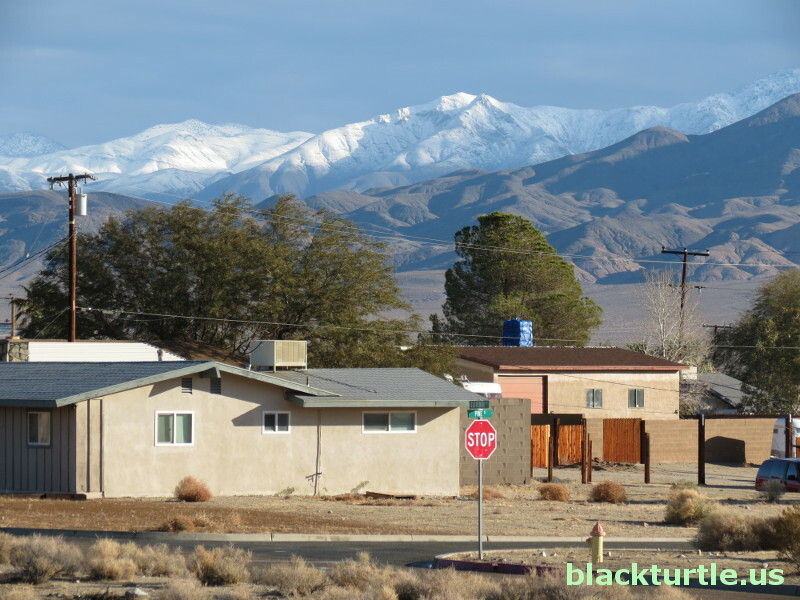 blackturtle.us: I noticed a small amount of snow on the Slate Range this morning also. Based on what I saw, I'd say that the snow level was down to 5000 feet. 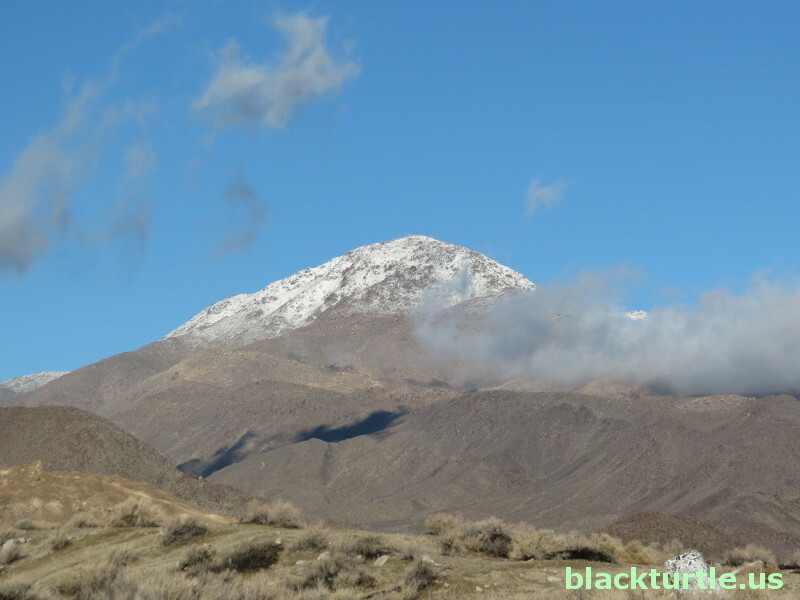 I'm not sure what the official weather service measurement is, but I know that the peaks in the Slate Range are somewhere above 5000 feet and well below 6000 feet. 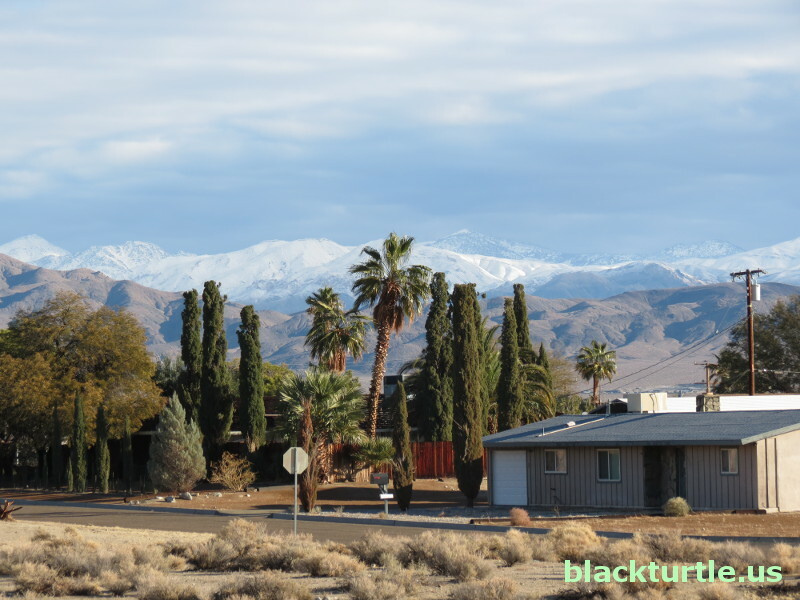 Trona didn't make the list, but Ridgecrest did! recluse: I'm doing my best not to be harsh, but that's about the worst song I've ever heard. Who the hell even lives in a double-wide? Whoever wrote the lyrics was totally clueless! If it was a joke it wouldn't be so bad, but the lady sings it like she's serious. People shouldn't write serious songs about things they know nothing about! recluse: I promise I won't be harsh, but I will be fair, albeit brief so as to avoid listing all the flaws with the song! Basically, what we have is an airhead who drove by Trona once or twice collecting first impressions which turned into false assumptions which she then put into a simple-minded song. As for the performance, the guitars are high quality, but the guitar playing is strictly mediocre or minimally competent. tronagirl, dzrtdwg, MojaveMike: I appreciate your restraint and the way you took it so easy on the _thoughtless songwriter_. The song was what they call cringeworthy, but you all managed to be fair and reasonable in your assessment of the song. Bless your hearts! You succeeded where most would have failed! Interesting collection of clips shot in and around Trona.